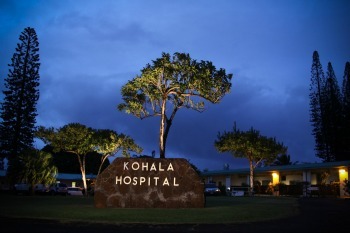 Kohala Hospital is a Critical Access Hospital with acute and long-term care services and a 24-hour emergency department that supports the North Kohala community. We are a member of the Hawaii Health Systems Corporation, a special agency of the state of Hawaii established in 1996. Our mission is to provide a “healing” environment to the community of North Kohala through the provision of quality health care services with emphasis on quality of life to all patients and residents. Our staff includes over 55 highly skilled employees many who have been with our hospital for over 10 years. The head of our emergency physician group has been serving Kohala Hospital and our community for more than 20 years. In addition we are supported from physicians with the Kohala Family Health Center. Along with our professional and experienced staff, we have many volunteers and affiliates that support our hospital.